Do you miss Thousand Island dressing too? No matter how I’ve looked, since we began eating Real Food a few years ago, I just couldn't find Thousand Island dressing without soybean or other nasty oils. I especially love Thousand Island dressing on Reuben sandwiches and taco salad, and it’s also good on burgers, or for dipping your fried shrimp and French fries into. 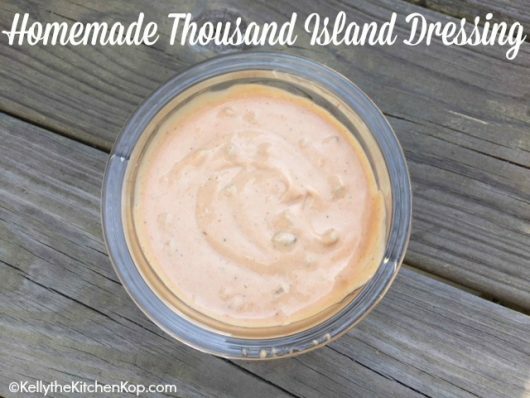 Thankfully, now a reader, Cathryn, has saved the day with her homemade Thousand Island dressing! Here’s her recipe (with my tweaks) which calls for a lot of different ingredients, but is still easy enough to make. Just add a little of this and a little of that and stir it up, simple! This recipe makes almost 1 pint/2 cups. Double it if you're serving a lot of people. Note: These are all approximate amounts, use less or more as you taste-test and see what you like, and I use as many organic ingredients as possible. 2 Tablespoons organic sweet pickle relish (drain the juice off) — or I just cut up some sweet pickles that I found at the health food store. Use more if you'd like. Palm Sugar and/or raw Honey, to your taste, add about 1/2 teaspoon then see if it needs more. Find out more about natural sugars and where to buy here. For organic tomato paste and sauce, organic unsweetened coconut milk, lemon and lime juice, creamed soups, etc., I have ice cube trays just for these, and freeze them over night — I slide trays into zip lock bags or any plastic bags that fit tray size, and then when frozen solid, empty trays and bag the various cubes and keep in freezer to pull out as needed. I use my Food Saver to vacuum seal mine, but not necessary. What else do you like to eat Thousand Island dressing with? More yummy salad and salad dressing recipes are here! When you say it keeps well in the fridge..how long do you mean? I’d think about a week max..but mayo kind of grosses me out ha so I’m extra picky about keeping it for too long..thanks! Ashley, if it’s added to store-bought mayo (complete with all its preservatives), it would keep 2 months or so. For reals. 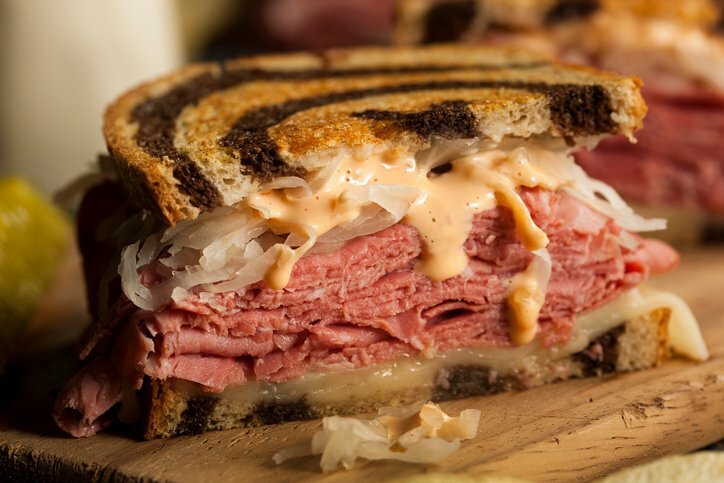 We have a deli, and have to take food courses on such stuff. Plus, we have over 30 years of experience! Using homemade mayo, I’d give it a month. Don’t want that oil to go rancid. But the mix itself (just spices, vinegar, salt, and the tomato paste) will keep 2 months, easy. The vinegar and salt help preserve the tomato paste. I love that it’s sweetened with honey. I’d be curious to try the celery leaf in it, though! My recipe for those in a hurry is sour cream, organic ketchup, organic dill relish. You could probably chop the celery super fine and it would be ok, but ground celery is in the spice aisle, not hard to find. I recently got some liquid smoke for the next time I make BBQ sauce because the ingredient label looked great. So as long as you’re reading the label to be sure there’s nothing scary in there, I’m fairly certain that it’s just fine. I’ve been wanting to find a healthy Worcestershire sauce for a while now! I can’t help but wonder if it used to be lacto-fermented. I’m almost convinced that it had to be. I wonder if we could add whey and let it sit out a couple days? This is what makes Thousand Island Dressing? Wow. How cool. Shrimp salad Louis Salad + thousand island dressing = Bliss. I’ll need to think about this. Heh, I always made “Thousand Island dressing” by mixing mayo, ketchup, and relish! This recipe looks much better! Thanks Robin! I have been toying with the idea of making my own as well, but haven’t found a recipe that motivated me enough, but this may be it! The only thing that is holding me back (besides laziness) is the amount of sugar. I just never imagined there would be so much in Worcestershire sauce. I am tempted to try it with less sugar, but what if it didn’t turn out? I hate to waste food! 🙂 Maybe i should just do it in the name of science. LOL Thanks again! Sure, if you don’t mind waiting a few months! 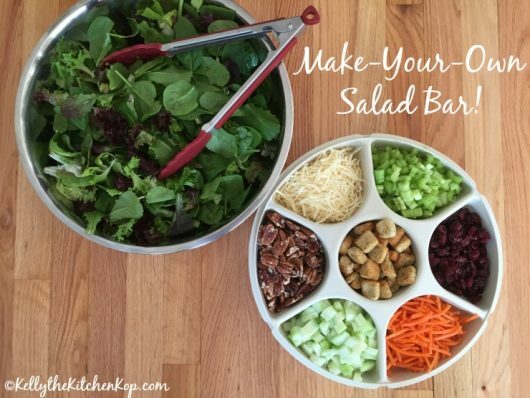 I have to try this with my version of Carla’s Big Mac Salad that I called “Cheezburger in a Bowl”!! I am glad to hear there is an acceptable Worcestershire sauce out there, because I haven’t been able to find one without HFCS around here. That really does sound like a delicious recipe Kelly. Thanks for the recipe! I’ve always loved good Thousand Island dressing, the best I’ve had being at a restaurant in Hawaii where it was homemade and amazing, but I’ve never bought it either, as it just never tasted as good to me (and although I really only started my real food conversion over the last year, it has literally been YEARS since buying ANY kind of store-bought dressing…I just never saw the point of having a fridge full of bottles which usually end up expired before finishing them, when it is so easy to make it!). Also, that’s actually a great tip on the ice cube trays, but I will note that for tomato paste, I LOVE the kind in the tubes and that’s all I buy now, partly because of the BPA in the cans, but also because in the tube, you can use a little and then just keep the tube in the fridge. No waste! I can’t wait to try this recipe out! And big mac salad sounds like the best thing ever…reveal your secret! I just used that ice cube tray trick for the pesto we made with the last of the basil…its also great for stock storage. A big mac salad………DO TELL!!!!!!!!! !